Robert Cruickshank studied law and joined a firm of attorneys in Clarence Square, Gosport in 1806, at the age of nineteen. He was born to a wealthy family of planters in the West Indies and he spent some time in Montreal Canada before taking up his position in Gosport. Within six years he became the company secretary of a firm which pulled down the old Market House at Gosport and built a new one near to the The Hard. 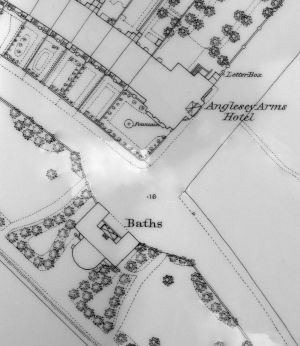 He had a vision that the seaside town of Gosport could become a fashionable residence for members of high society and he set about creating a water spa at Alverstoke by purchasing Danner's Farm, at his own expense. He laid down the roads now known as The Crescent and St. Mark's Road. 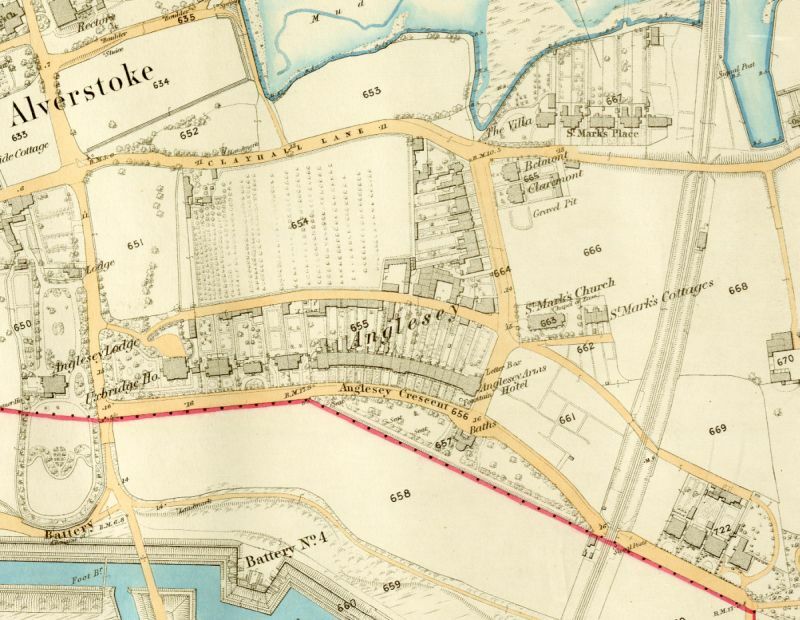 Cruickshank borrowed on mortgage to build Regency style houses on either side of the junctions of these roads. 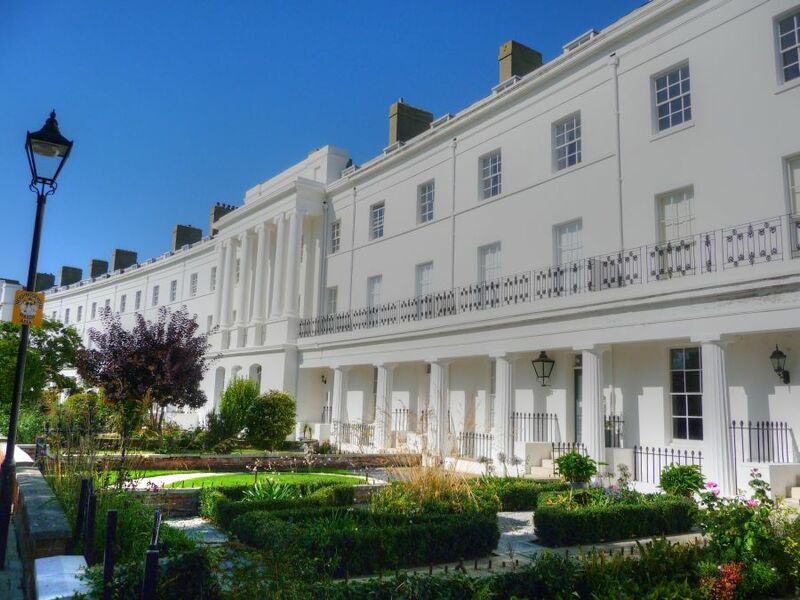 The original plan for the Crescent was two half crescents either side of North Terrace (St Mark's Road) with an hotel at the centre and detached houses at the extreme ends, but only the western half was constructed, the eastern side being privately developed. 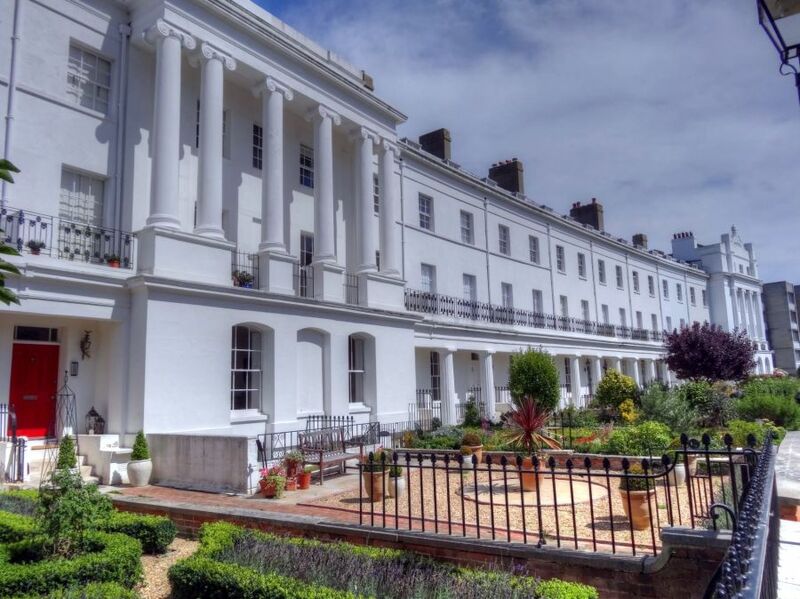 The magnificent terrace that we now know as The Crescent was built 1827 to 1831 to the designs of Thomas Ellis Owen, Cruickshank's architect. 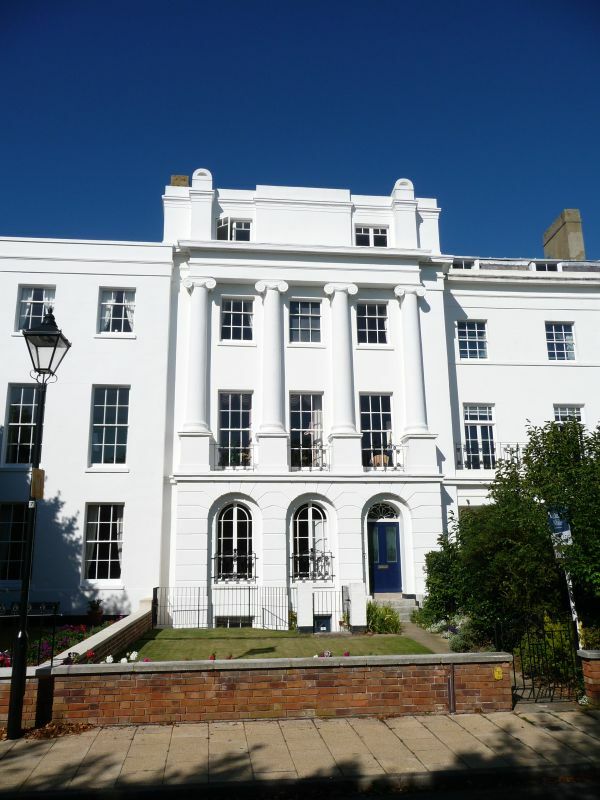 The Crescent was to have been called Fleming Terrace after the Agent for South Hampshire. 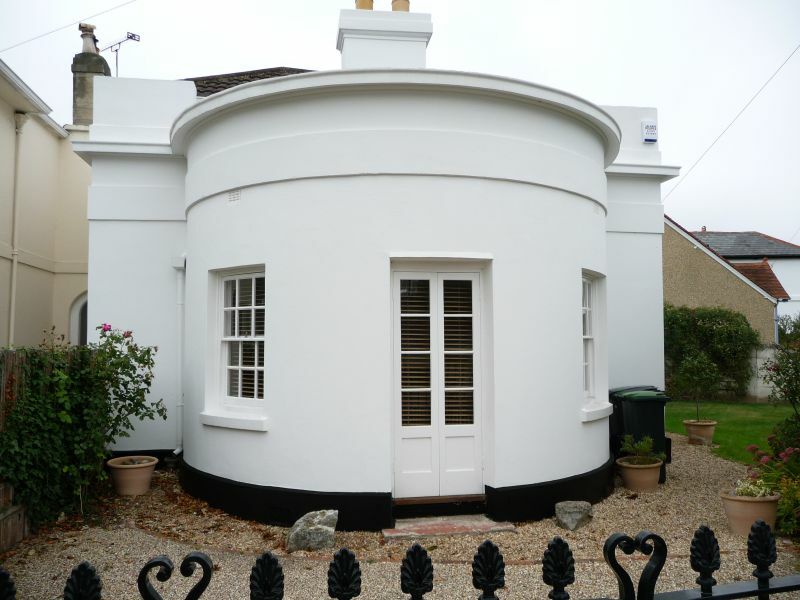 The western end of The Crescent consisted of separate detached houses whilst The Crescent itself was a curving terrace of desirable town houses. 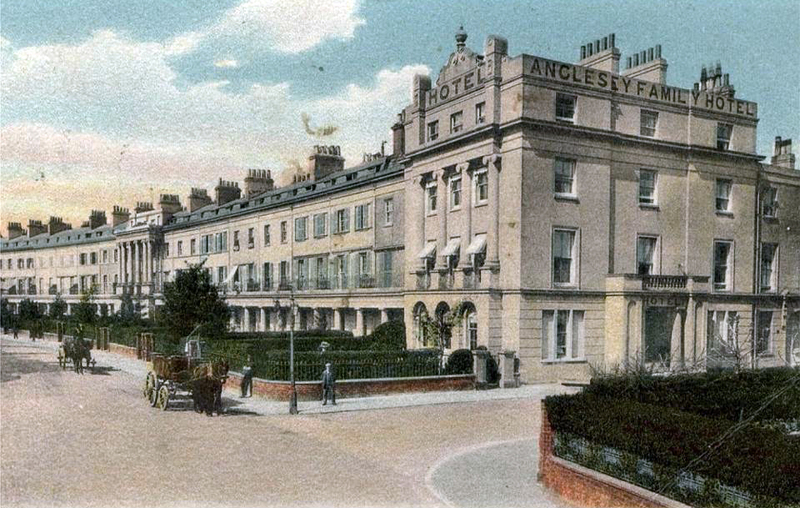 At the extreme east end of the terrace Cruickshank proposed an Hotel, the Anglesey Hotel. The hotel opened on the 18th March 1830. 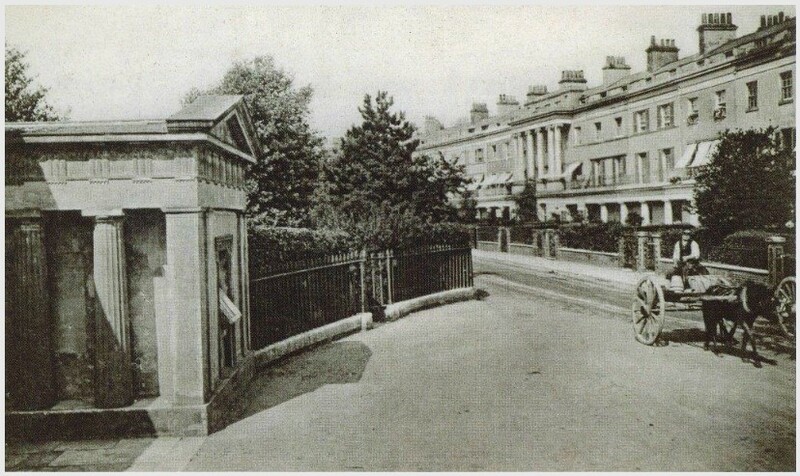 On the southern side of The Crescent beautiful gardens were laid out and residents were charged 30 shillings per year for a key. 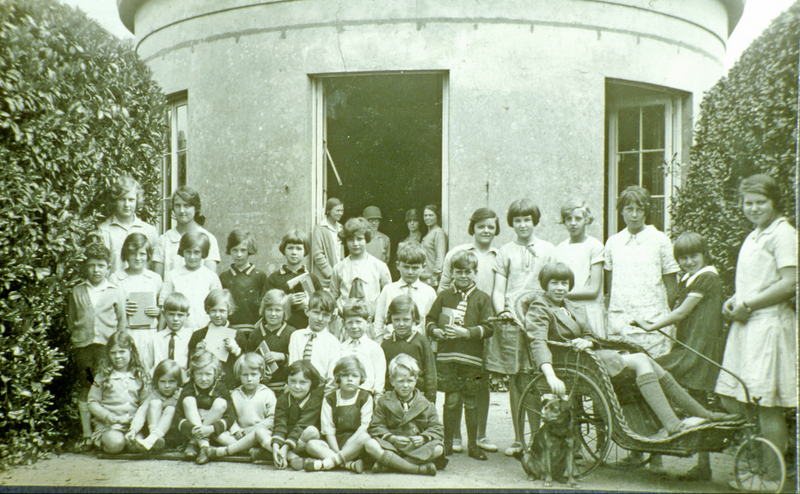 At the centre of the gardens, facing the junction with St. Marks Road and The Crescent, Cruickshank constructed Reading Rooms and a Bath House. The St. Marks Road part of the development was completed with fine villas. Cruickshank asked the Marquess of Anglesey to open his fine new spa and was delighted when he accepted the invitation. Cruickshank promised to name the development Angleseyville. 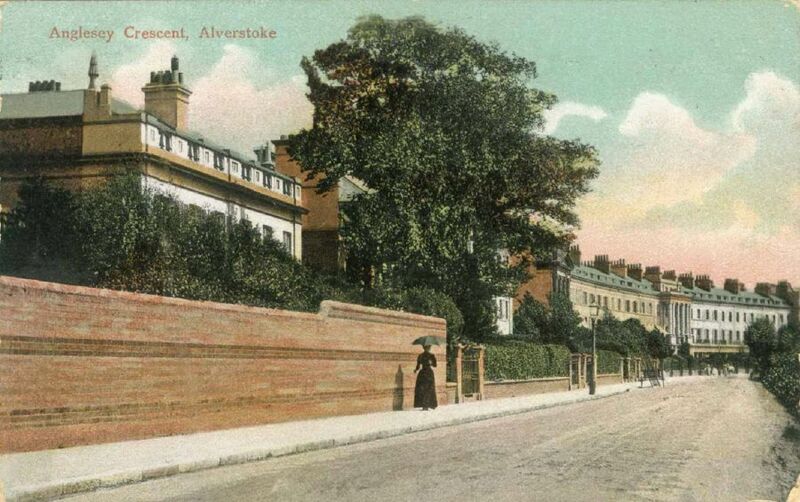 In later years it was discovered that the Marquess was ill and the stone was laid by his son the Earl of Uxbridge, the first house being named Uxbridge House (later Wakefield House which became part of the Alverstoke Children's Home). 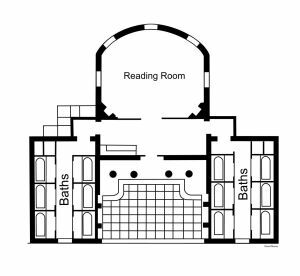 At the junction of St. Mark's Road and The Crescent was a building built as a reading room with bath houses on each side. 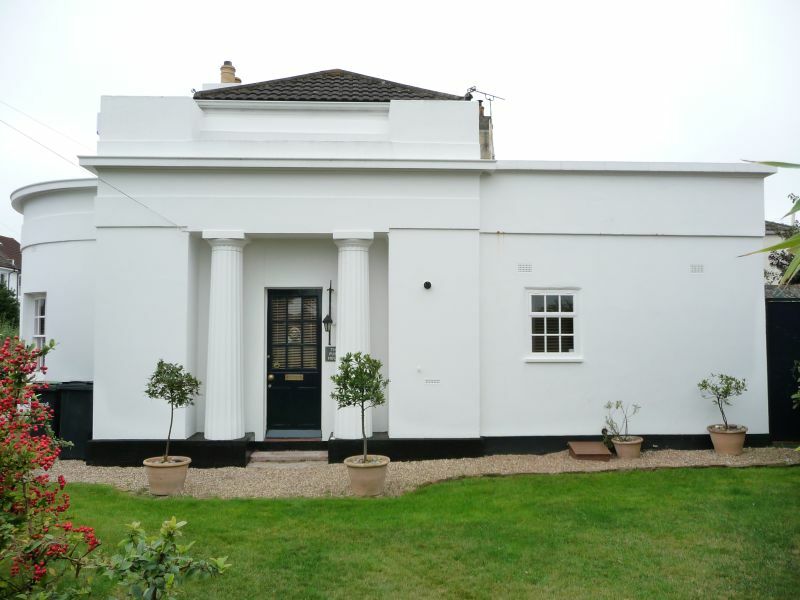 Here warm and cold sea baths could be had as a benefit to health.Neo-classical in style the front was set back from The Crescent and entered though a grand portico with two columns on either side. This led to a large lobby with a bath house off to each side. Each bath room held six discrete baths. 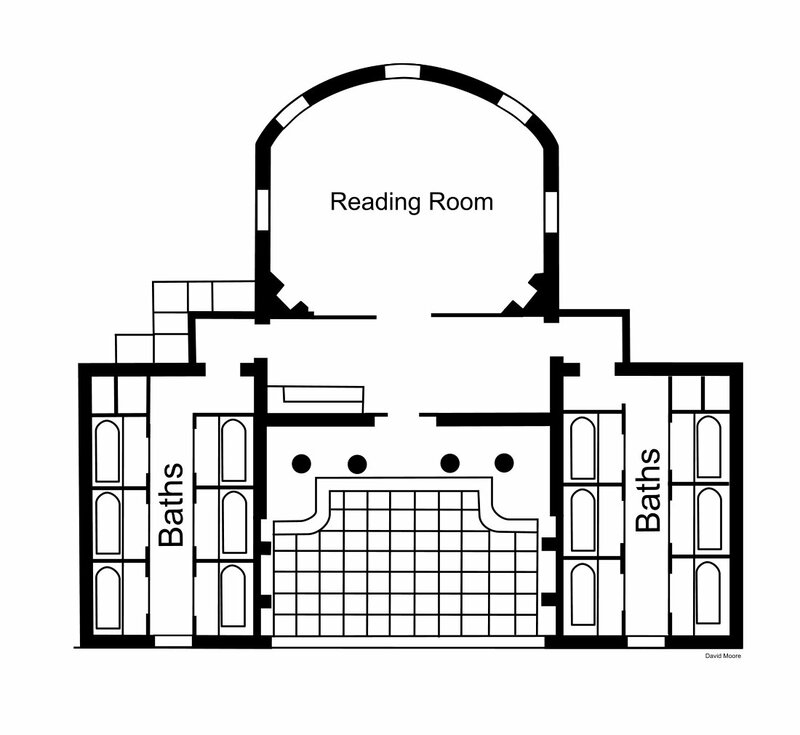 Straight ahead was the reading room. The reading room looked out across Stokes Bay through a series of windows in a curved wall. 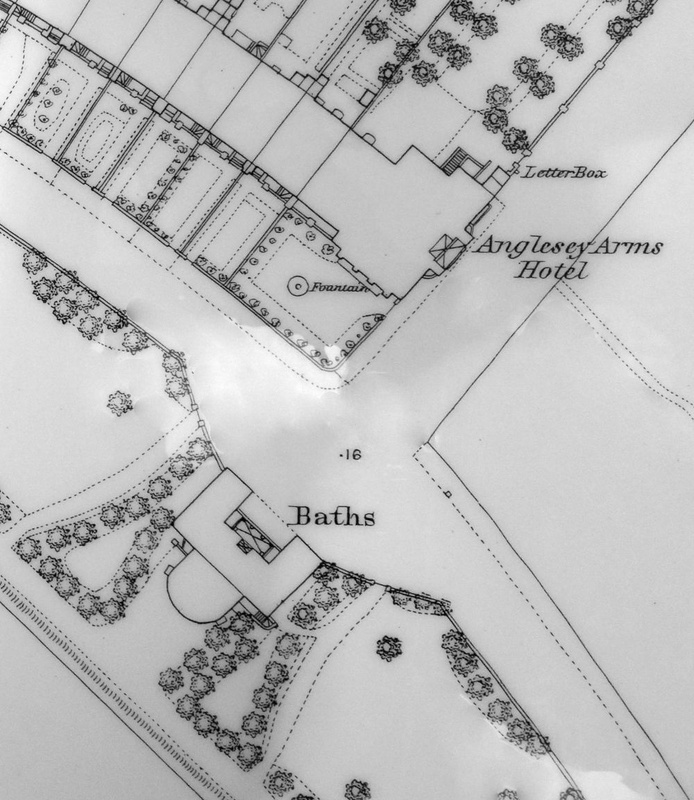 The bath house was supplied with water by a Pump Room and Lodge at the northern end of St. Marks Road. It was occupied by a gardener and pumped water from the creek opposite as it was purported to have health-giving qualities. The Pump Room still stands and is a private residence. 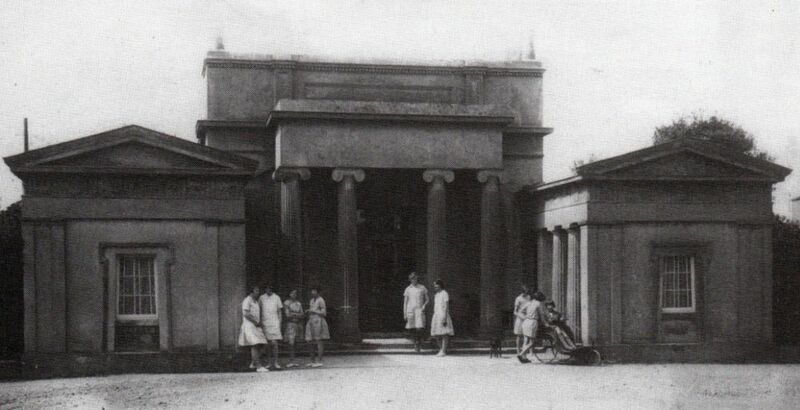 After many years of neglect Cruickshank's great granddaughter gave the gardens to Gosport in 1949 and the reading room and bath houses were demolished in 1950. The gardens have been restored and can be enjoyed by visitors, thanks to the local group of volunteers who tend them as a public community garden. Robert Cruickshank married the daughter of Barnard, a Rector of Alverstoke Church. In recognition of his services as Agent for South Hants he was offered a set of silver plate. He refused this suggesting instead that the money be used towards the building of a church, on land he would give. The new rector of the church Samuel Wilberforce disliked this idea and resisted (Wilberforce later became the Bishop of Winchester). 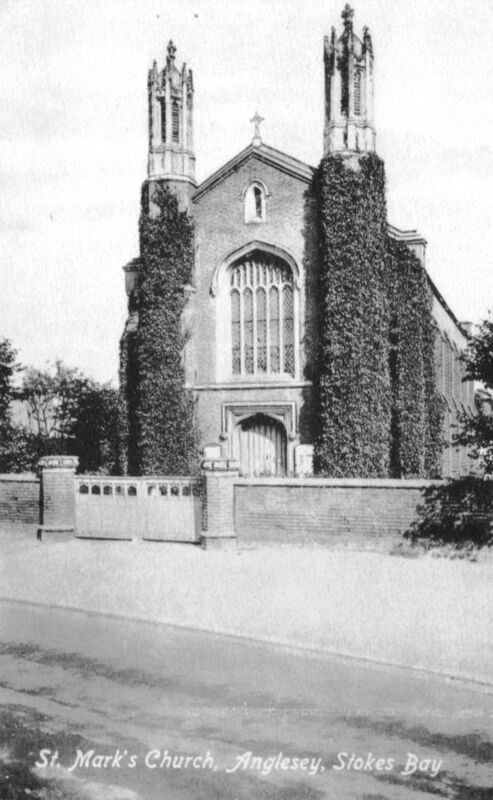 Cruickshank got his way in the form of a small church in St. Mark's Road which became a chapel-of-ease to St. Mary's church Alverstoke in 1844. (The Times on 20 April 1841 page 4 reported that The Queen Dowager [William IV's widow] has given £20 towards the erection of a new church in Stokes Bay) The church declined through little use and in later years it was declared unsafe. In 1911 it was pulled down but people continued to be buried there. 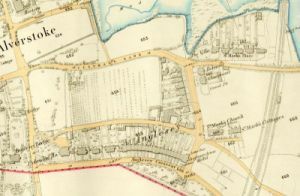 The graveyard is still there in St. Mark's Road, the outline of the church has been preserved, and the grave of Cruickshank and some of his family can be visited. 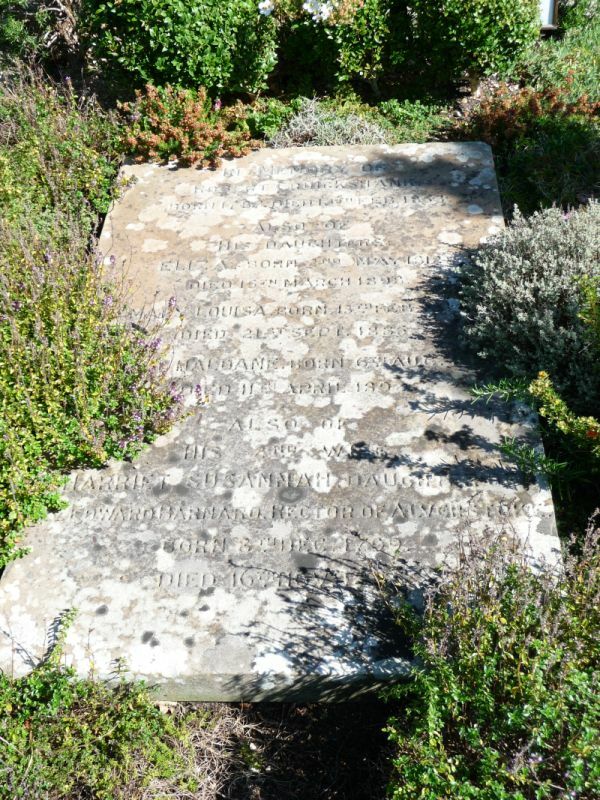 In 2003 a group of volunteers set about putting the graveyard in order and the Friends of St. Marks have maintained it in excellent condition. 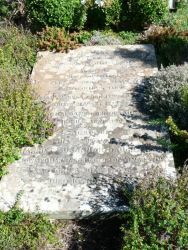 Nearby is the grave of his son, Robert Barnard Cruickshank and his wife Florence Helen Louisa Cruickshank.